Genentech - a Roche company. Genentech is a biotechnology corporation that became a subsidiary of Swiss multinational healthcare giant Roche in 2009. 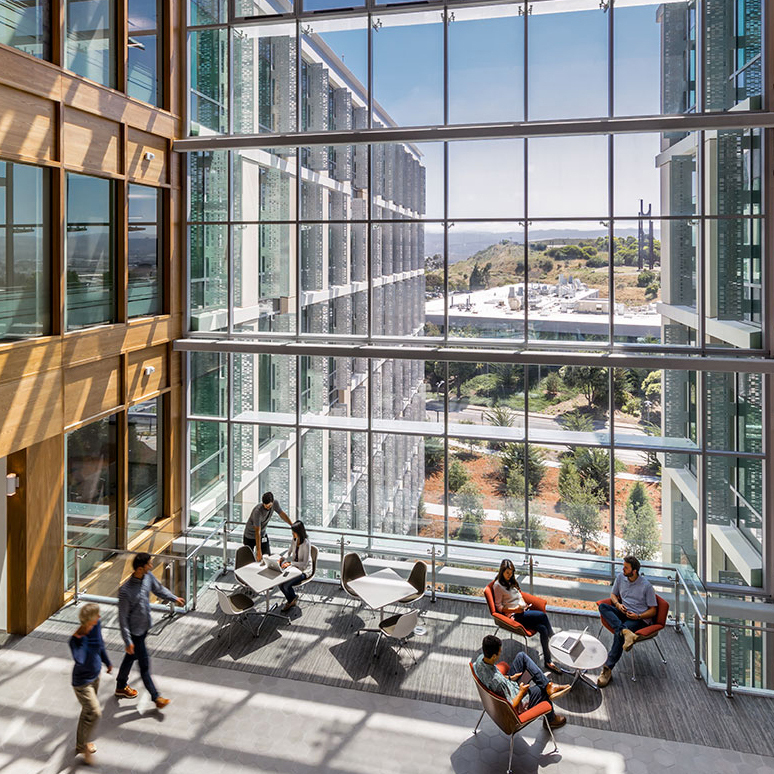 At any one-day Genentech's 15,000+ employees enter, interact and leave their Silicon Valley campus. So when they began the start of a $1.6b campus upgrade they were preparing themselves for some resistance. Benefits-led, the approach positioned the ambition endeavour as a forward thinking initiative that would dramatically increase employee satisfaction and success. 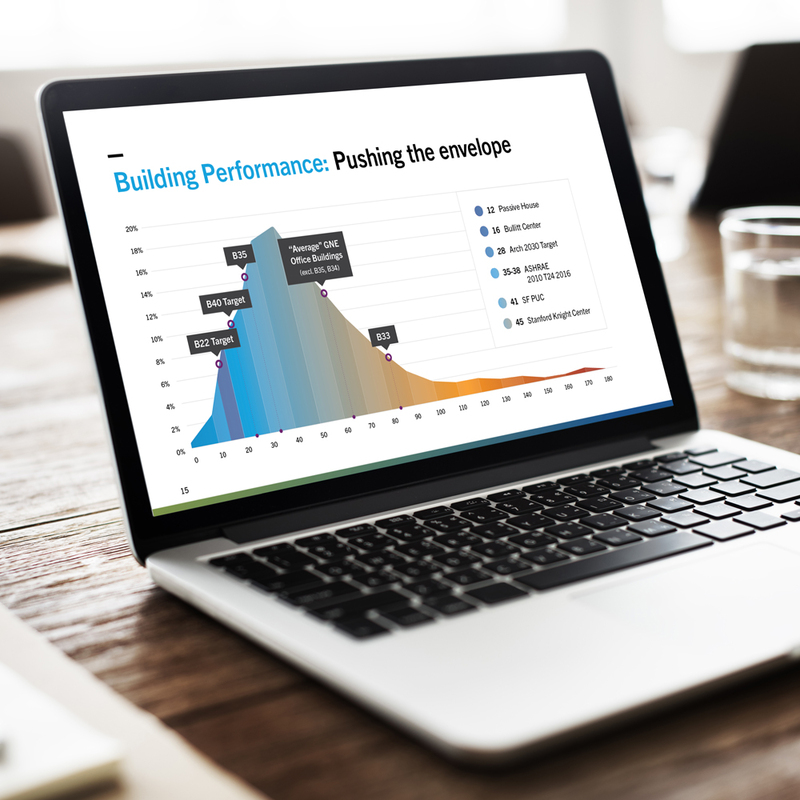 The story was delivered through presentation design that utilised data visualisation and information design. This visualisation of the company’s grand plans helped transport the employee on the same creative journey that the board had been on. Make an impact, not a compromise. By taking the employees on the same journey the company had visualised they were able to make a real impact, without comprising the integrity of their plans. Participant buy-in was high. Making the short-term inconveniences more bearable.